This post isn’t going to be filled with pictures of me in 2003 when I was a size 4, or in 2001 when I was a 2. It’s also not going to be filled with statements like “2 kids later…”. No, it’s not me. Why should we, as moms, or people trying to be the best version of ourselves hide behind sayings like that? The fact of the matter is weight loss is calories in vs calories out and a toned body comes from hours and hours of dedication and consistency. When you try to cut corners it gets too complicated and you have to start fresh again. As I mentioned in this post in #7, I’m a little obsessed with the diet and nutrition industry–sometimes I play the diet games, but I also know in the back of my mind it’s probably not the best way to lose weight or be healthy. I’m a smart girl, I get it. I know deep down what works and what doesn’t. Enter FormulaZone.com. I wouldn’t ever call this program a diet. I joined this website in 2007 when I was tired of how I looked, and I lost 12-15 pounds within in 3 months. FormulaZone is based on The Zone Diet created by Barry Sears. Here’s what I know, I don’t have to restrict calories to some crazy low number a day (my plan is set up for 1335 calories a day) my day will be made up of 40% carbs, 30% protein and 30% fat. It really is the perfect balance. I just remember feeling absolutely fantastic when I followed this plan last time! The best thing about this? I don’t have to give up coffee….it actually recommends it! Uhm, yes please. I chose this “plan” because I have realized I really like structured plans to success. Probably more of that Type A personality I keep hearing so much about. –Making the commitment. Following through. Being consistent. Even when I want a cupcake so bad, I need to think about the end result. I think when it comes to making yourself a healthier person, it’s not going to be an easy task. I think that’s obvious, considering the US is one of the unhealthiest countries….well….ya..you understand. It’s only going to work if you MAKE it work–to make it work, you have to put forth serious effort. This is where things get tricky for me. I’m soooo terrible at being consistent with something that isn’t absolutely necessary. Blame it on having kids on the brain, having a full schedule, being obsessed with organizing the day to day clutter in the house after work or whatever…these are excuses. I get that, but maybe I don’t GET that. Yes, I am extremely busy, whether it’s mentally or physically challenging–there’s always something. The time has come though where that does not and can not matter. So here’s the bottom line, I want to lose 15 pounds, but 10 would put me at pre-Mason weight. There’s no better time than today to start. Yes, it will be so rough for me, especially the first week, especially because I usually eat 1600 calories a day. So please, if you know me, and you know how badly I want this weight off, please send me a text or email to check up on me, scold me, hit me over the head with a bat if I have a few days in a row where I mess up, scream at me until I finally get it…whatever your badass method of getting a message through to someone may be. Here’s to losing 15, and gaining back more confidence! 1. I’m completely Type A. I wasn’t always, but I sure am now….and capital A at that, well, and maybe underlined. Everything has to have a place in our house, I don’t understand why some people don’t work as fast as I do and there’s nothing I love more than marking things off the to do list that I have to write out (preferably with pencil, it gives it an extra touch) first thing every the morning. 2. Friday nights are the best nights. Saturday…ehhh, Sunday..blah. Friday is where it’s at! I don’t know if it’s because it’s the end of a work week and the possibilities seem endless or what…Friday nights are the best. They are the best date nights too! I think in general, I’m probably just a happier person on Friday. 4. I love my friends, and live within 10 miles of most of them! When we were in high school, we all swore we wouldn’t grow up and live here. Being out and about in different cities and towns taught us that where we grew up is actually pretty amazing. True Story! Now we are all back and I love it. Yay for all of us being soccer/football/baseball moms together! 5. I love reminiscing. 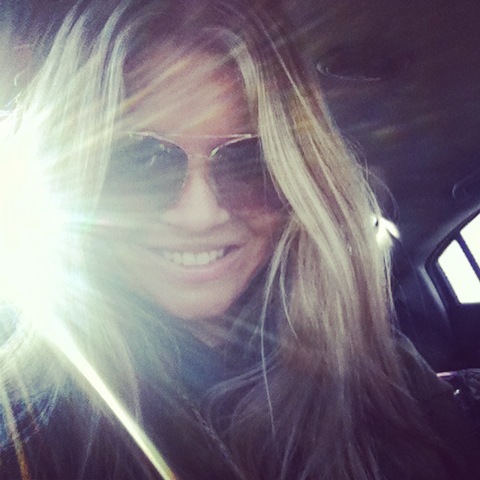 I have a wonderful life and memories make me extremely happy! Hearing songs and thinking about 8th grade, seeing a clothing trend come back that makes me think of 4th grade….I love it! Even better, most of the people I have had such amazing memories with are still in our lives today. There’s something wonderful about that! 6. I used to want to be an interior designer. At a young age (14 or so) I was completely infatuated with design. I remember going over to my friend’s house and her mom had a subscription to Elle Décor and we would always study it (uhm, my friend and I, not her mom and I haha). My senior year I decorated and designed a house in my interior design class and I was absolutely hooked. My style was complete beach style with clean, shabby chick lines. It may come as no surprise to you that when our new house was being built, my goal was to decorate our house in a beachy/modern/shabby chick type of way. It still has a long way to go, but I love with what we have done so far! 7. I’m obsessed with anything that involves nutrition! The diet and fitness world has sucked me in and from a super young age. I was armed with my Teen Works binder at age 11–and it was fascinating to me to read about all the different types of exercises for specific body types (I still remember the 2 exercises they recommended were tennis and gymnastics). Oh and makeup tips, lots of those…but back to the nutrition–I even considered being a nutritionist (this was after the obsession with interior design), because I couldn’t get enough of it. I took several nutrition and fitness courses in college a loved it! Now, with all this wonderful knowledge in my brain, you would think I would be the worlds healthiest, skinniest person and that losing the last 10 pounds of baby weight would not be a problem for me. Wrong. Story of my life….I’m most frustrated with myself because I know what to do and have the tools, but I just don’t always do it. More on this another day. 8. I am the worlds least crafty person. I mean, really. I am. 9. I hate the sound of drinks being poured or water running slowly. It’s so random, but it literally makes my skin crawl. I can’t deal with it. Period. 10. I love 90’s music more than any other decade. Probably because of the memories I mentioned in number 5, but anytime a song comes on from the 90’s, a major smile hits my face! 11. I used to write screenplays. Taking it even further, my acting class that I attended in college actually acted out one of them. I was so proud. Any type of creative writing is my jam! 12. Hmm, the last one…what shall it be?! Most of you who know me well may know this already, but I can recite every episode of FRIENDS. It is hands down my most favorite show on the planet, and every time I am on the treadmill, I pop in a season to watch. 13. So I know I said 12, but I just thought of this one. Brock and I always knew if we had 2 boys, their names would be Brayden and Mason. The day we found out we were having another boy, I was in the car driving and realized Brock and Mary are B and M, and Brayden and Mason were B and M. Total coincidence. Taking it one step further, my nephew Brady was born 8 months before Brayden and my niece Makensie was born 7 months before Mason. So, the moral of the story is that apparently the Keevers family digs B’s and M’s. I really could go on until about 50 or so, but I will spare you the boredom of just hearing about me, me, me. Ahh, the New Year. The time of year where gyms are overcrowded, weight watchers booms and many set out to “be better” at something, or “quit” something. Insert whatever habit you choose. Resolutions yo….resolutions. I don’t make resolutions per se, but I do love the start of a new year. Like anything bright, shiny and brand new, it usually catches my attention and makes me happy. Hence my makeup collection…or anything from my favorite jewelry obsession Stella and Dot. While I don’t resolve to make big things happen in 2014, I’m so excited to see what the year holds and try my hardest to help make it fun and interesting, all while setting out to try new things and be the best me I know to be. No mountains will be moved I’m sure, but I may try a new food, or plant a mini garden, or actually stay home long enough to cook a few meals or do something crazy like advertise my blog on a few other blogs, just because I’m fascinated by the blogging world! I thought since it was a new year and many people have the resolution of doing something good for themselves, it would be fun to share some new products I recently started using, in my quest to get rid of harsh chemicals in our household. I’m always stalking Target’s shelves for the latest and greatest products, but I’m picky when it comes to what I use. I will give up the awesome smelling body wash that makes me think of the beach, to use something a little less strong smelling (think pond instead of beach–ok maybe that’s not the best comparison…) that contains no harsh chemicals. Over the summer when I had Mason, I decided I would only use Burt’s Bees or Honest Co products on him, this carried over to switching Brayden’s bubbles and body wash to hypoallergenic Suave Kids body wash and Honest Co bubble bath. Since I was having such great luck with the Burt’s Bees brand with Mason, I decided recently I should use it myself! I love the smell of this shampoo, and when I blow dry my hair after I use this, it really does give my hair more volume. Those of you who have had a baby know that is MONEY, since you feel like you are going bald by the time your baby is 4 months old from the post partum hair loss (more on this later). This shampoo was around $8.00, which in my opinion, is a great deal considering its actually a good quality/organic type of shampoo. This Pearanormal Activity body wash by gud is FAB! And wouldn’t you know, this company is a part of Burt’s Bees! Right about now, Burt’s Bees is scoring extremely high on my favorite products list! You can find this at Target, for around $7.00. 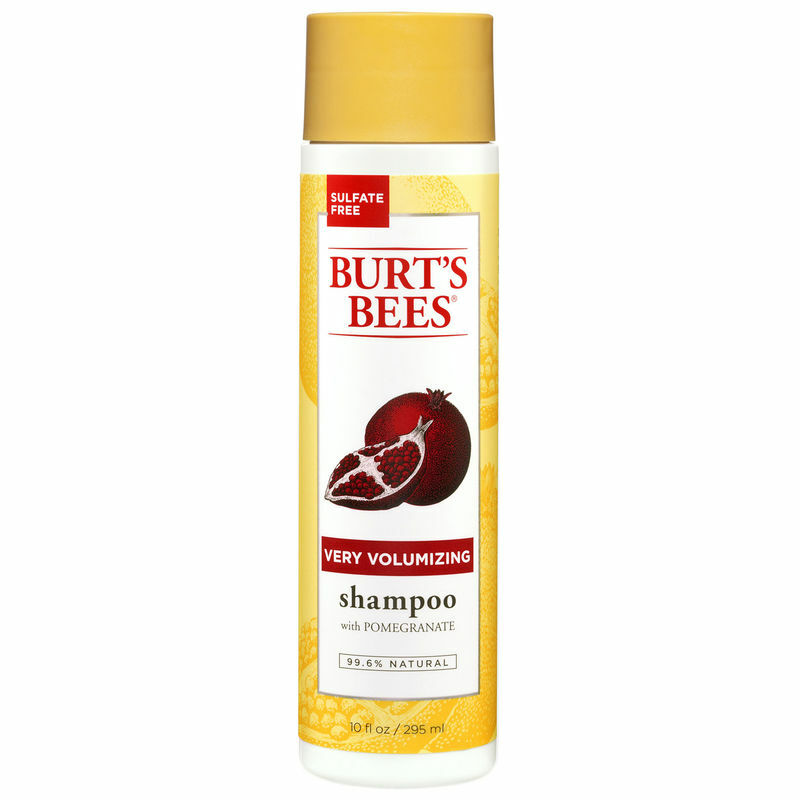 It is made without parabens, pthalates or petrochemicals (as is the Burt’s Bees shampoo listed above). This next product was recommended to me by my hair stylist. I have been going to her since I was 19 years old, so we passed the “oh hey you are new here, you need these products because we sell them and I get a commission” about 12 years ago. 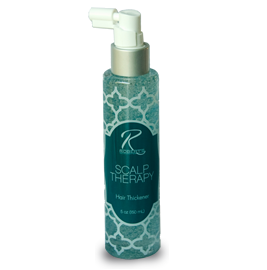 Basically she never tells me I need to buy something, so when she told me it would be in my best interest to use this Roberts Scalp Therapy gel in my hair…I kind of had to get it. She loaded me up with samples and I’m going this weekend to get more. The reason for this need: my hair is thin as can be on top because of the post partum hair loss that goes along with having a baby. Usually it starts around 2-2.5 months, and it usually starts light, then before you know it, you’re pulling out 5-10 pieces of hair at a time, and when you have hair as long as mine you start to wonder if there will ever be an end in sight. Mason is almost 6 months old now and I’m just now starting to see a tiny decline in the hair loss. Finally. Seriously, grow hair, grow. Enter Roberts Scalp Therapy. I hope you work! Finally, I have to rave about the Honest Co.’s body wash/shampoo. I only use this as a body wash because it was around $12.00 and you only get about 8 oz in the bottle; if I were to use it for shampoo as well, it would run out super fast! It has a very light vanilla/orange smell and I really like it. It’s completely natural and I have used it on Brayden a few times and it works well for him too! Just a little side note; every product I have purchased from the Honest Co has been wonderful. A lot of times during the year they even offer free shipping! I wish their body wash/shampoo came in a bigger size, but the company is stitll growing super fast everyday, so I’m sure it’s still yet to come. You can check out this product and others at www.thehonestco.com. What products do you plan to try in 2014? Do you have any go-to products you can’t live without? Let me know! At 31, I still sometimes find myself thinking “what would [so and so] think if I did this?” “How would people perceive me if I did this?” Why I still stop and think about what others think before I do/purchase/say something is beyond me. My friends that know me, know that I also have this strong need for everyone to like me and like everything I do. I know it sounds crazy to think that could actually happen, but hey….sometimes all I can do is chalk it up to the fact that there are times when I live in my own world. Everything we do in life is just kind of thrown out there for all to see. It’s really sad that some people feel so bad about themselves that they feel the need to judge so harshly on things that bring others joy. I’m guilty of judging, I think all of us are, but there’s a point where a line can be crossed. Speaking of joy, you know what brings ME the most joy? Being me! Those moments when you just don’t care and let go. That’s golden. No one can take that away! I don’t want to be just like everyone else and I don’t want to have to be proper and a perfectionist all the time. Sure, there are right times and right places for everything, but other than my family and friends, nothing brightens a day for me more than sleeping till 9 am, jamming out to a Britney Spears CD (and by this I mean hair down, windows down, car dancing and singing at the top of my lungs of course), spending money on something I don’t need, watching endless seasons of Friends, being outside running around like a kid, going to get froyo and Starbucks–just because, being at the beach, learning a new dance, writing creatively, having my own photo shoot complete with hair, makeup and a stylist, eating fresh foods, the smell of [an old] Bath and Body Works scent May Bouquet, reminiscing with good friends and being thin and toned. They may not be everyone’s favorite things, but they are some of mine and it’s nice to have something you can own like that! You shouldn’t ever let someone take away the pieces that make you who you are. Some days it may not seem important, but it honestly is a part of you! Keep what you love close to your heart and don’t be scared to let loose. Try new things, if it makes you happy, then it’s worth it! I plan to do more of what I love in 2014 because if I’m genuinely happy, then everyone around me picks up a piece of happy too. Cheers to what makes you sing with the windows down in 2014!